Mud, mud, glorious mud! There will certainly be plenty of the gooey stuff around when a Staffordshire hospice stages a daunting but fun-filled event in aid of the charity. 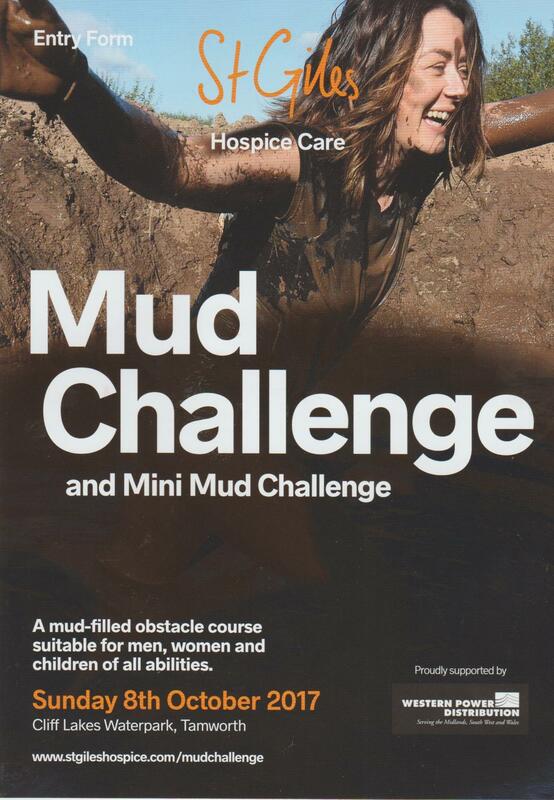 St Giles Hospice, which is predominantly located in the village of Whittington, near Lichfield, will be staging its very own Mud Challenge - and Mini Mud Challenge - on Sunday 8th October. As many people as possible are being urged to sign up for the mud-tastic event, which is being held at the Cliff Lakes Waterpark in nearby Tamworth. The obstacle course at Cliff Lakes features a collection of slides, mud pools, logs, tyres, cargo nets, inflatables, hay bales, and water hazards. The main Mud Challenge is held over a 10km or 5km course depending on a competitor's level of fitness, and participants can also choose to walk the course rather than run if they so wish. It may not help you to complete the distance, but fancy dress is also welcome. The main 10km Mud Challenge is open to anyone aged 16 and above, However, in addition to the 10km event, there is also a Mini Mud Challenge for children aged between 10 and 15. Entry for the Mud Challenge is £30 per adult, while the Mini Mud Challenge costs £15 per child to take part. By signing up for fundraising events like the Mud Challenge, supporters are helping to care for local people and their families living with a potentially terminal illness. St Giles says it costs the hospice £9 million a year to provide care, with the charity estimating that it could help another 1,000 people locally with specialist care if sufficient funds were available. The entry fee for the Mud Challenge covers the administration cost of staging the event, so participants are urged to raise further money through sponsorship to enable St Giles to continue to provide care and support free of charge to patients and their families. •Open to participants aged 10-15 years, grown-up spectators welcome!